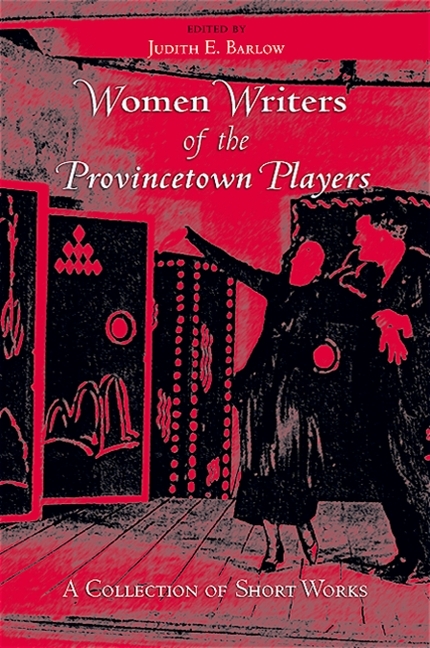 A pioneer of American modern drama and founding member of the Provincetown Players, Susan Glaspell (1876–1948) wrote plays of a kind that Robert Brustein defines as a “drama of revolt,” an expression of the dramatists’ discontent with the prevailing social, political, and artistic order. Her works display her determination to put an end to the alienating norms that, in her eyes and those of her bohemian peers, were stifling American society. This determination both to denounce infringements on individual rights and to reform American life through the theatre shapes the political dimension of her drama of revolt. Analyzing plays from the early Trifles (1916) through Springs Eternal (1943) and the undated, incomplete Wings, author Emeline Jouve illustrates the way that Glaspell’s dramas addressed issues of sexism, the impact of World War I on American values, and the relationship between individuals and their communities, among other concerns. Jouve argues that Glaspell turns the playhouse into a courthouse, putting the hypocrisy of American democracy on trial. In staging rebels fighting for their rights in fictional worlds that reflect her audience’s extradiegetic reality, she explores the strategies available to individuals to free themselves from oppression. Her works envisage a better future for both her fictive insurgents and her spectators, whom she encourages to consider which modes of revolt are appropriate and effective for improving the society they live in. The playwright defines social reform in terms of collaboration, which she views as an alternative to the dominant, alienating social and political structures. Not simply accusing but proposing solutions in her plays, she wrote dramas that enacted a positive revolt. 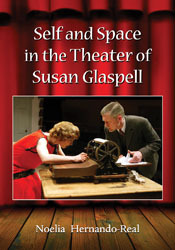 A must for students of Glaspell and her contemporaries, as well as scholars of American theatre and literature of the first half of the twentieth century. This entry was posted in 2017 Publications, Publications on July 17, 2017 by Martha Carpentier. On Susan Glaspell’s Trifles and “A Jury of Her Peers”: Centennial Essays, Interviews and Adaptations celebrates the 2016 centennial of Trifles and “A Jury of Her Peers” with a selection of all new essays featuring an international roster of contributors. 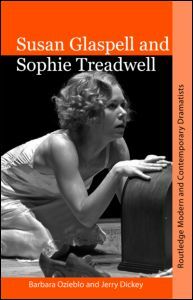 Edited by Martha C. Carpentier and Emeline Jouve, the collection joins academic scholarship with theatre practitioner interviews and two original creative works inspired by Glaspell’s iconic works. 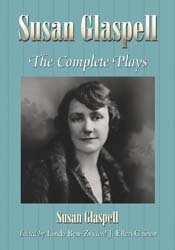 In the summer of 1915 on a wharf in Provincetown, Massachusetts, the summer gathering place of Greenwich Village artists and writers, Susan Glaspell was inspired by memories of the sensational Hossack murder trial she covered as a young reporter in Des Moines to write Trifles – her play about two women who discover and hide a Midwestern farm wife’s motive for murdering her abusive husband. Following successful productions of her plays by the innovative little theatre she helped to found, the Provincetown Players, Glaspell, already a well-received fiction writer, was transformed into the mother of American drama. In addition, her story version, “A Jury of Her Peers,” reached an unprecedented one million readers in 1917 through multiple publications. Since then, both have been repeatedly anthologized, taught in high school, college, and law school classrooms across America, and read around the world. Trifles is regularly revived on stages big and small from New York’s Public Theatre to London’s Orange Tree Theatre, to Ontario’s Shaw Festival, to China’s National Symposium on American Drama and Theatre. This entry was posted in 2015 Publications, Publications on July 17, 2016 by Martha Carpentier. Edited by Linda Ben-Zvi, Professor Emerita in Theatre and English at Tel Aviv University and Colorado State University, and by J. Ellen Gainor, Professor of Theatre and Associate Dean of the Graduate School at Cornell University. The first complete collection of American Pulitzer Prize winner Susan Glaspell’s dramatic works, this book includes the one-acts Suppressed Desires, Trifles, The People, The Outside, Woman’s Honor, Close the Book, Tickless Time, and Free Laughter and the full-length plays Bernice, Inheritors, The Verge, Alison’s House, The Comic Artist, Chains of Dew, and Springs Eternal, the last two of which are published here for the first time. Each play includes an introductory essay along with extended biographical and critical analyses. Two appendices give details on both the first runs and select recent productions of the plays. This entry was posted in 2010 Publications, Publications on May 17, 2010 by Martha Carpentier. Edited and with an introduction by Patricia L. Bryan and Martha C. Carpentier, this collection includes “A Jury of Her Peers” and 11 other Glaspell short stories never reprinted since their original publication, most in Harper’s Magazine, the preeminent arbiter of American literary tastes for over fifty years. Bryan and Carpentier’s introduction places Glaspell’s short fiction in the traditions of Twain’s humor and Poe’s grotesque, and provides startling new data about the publication history of “Jury” — now for the first time, readers have access to the original ending of Glaspell’s most famous work. Very affordable, this anthology would be a great addition to any course in American fiction. To listen to Patricia Bryan’s interview on WUNC, click on July 21. 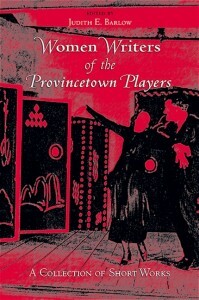 From Judith E. Barlow, Women Writers of the Provincetown Players features thirteen short plays by women originally produced by the Provincetown Players: Neith Boyce, Winter’s Night; Louise Bryant, The Game; Mary Carolyn Davies, The Slave with Two Faces; Rita Wellman, The Rib-Person; Susan Glaspell, Woman’s Honor; Rita Creighton Smith, The Rescue; Alice L. Rostetter, The Widow’s Veil; Bosworth Crocker, The Baby Carriage; Mary Foster Barber, The Squealer; Edna St. Vincent Millay, Aria da Capo; Edna Ferber, The Eldest; Djuna Barnes, Kurzy of the Sea; and Rita Leo (Rita Wellman), The Horrors of War. This entry was posted in 2009 Publications, Publications on May 17, 2009 by Martha Carpentier. 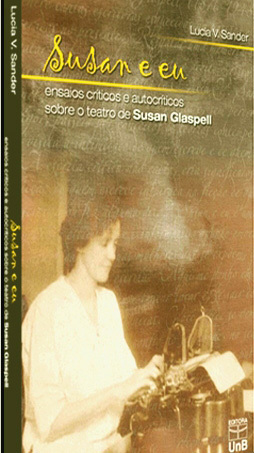 Edited by Barbara Ozieblo and Jerry Dickey for the Routledge Modern and Contemporary Dramatists Series, Susan Glaspell and Sophie Treadwell is an invaluable introduction to two of the most important American women dramatists of the twentieth century. This entry was posted in 2008 Publications, Publications on May 17, 2008 by Martha Carpentier. 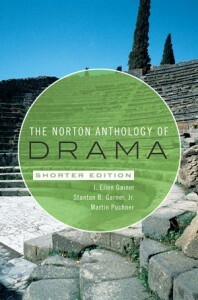 J. Ellen Gainor has co-edited the new Norton Anthology of Drama with Stanton B.Garner Jr. and Martin Puchner. This entry was posted in 2007 Publications, Publications on May 17, 2007 by Martha Carpentier.